Make any space your own personal workout haven with these easy tricks from DailyBurn trainer Keaira LaShae. No time to go to the gym? Cross that one off your list of excuses! There are a few simple tricks that can help you transform any space—whether it's your living room, your backyard, or your hotel room—into your own personal workout haven. 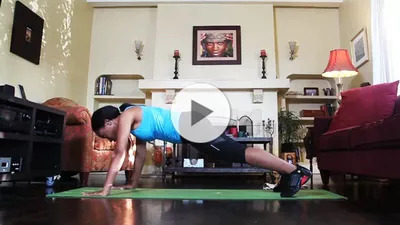 Learn how to set up a home gym with these three tips from DailyBurn trainer Keaira LaShae. Now roll out your mat and jump in!